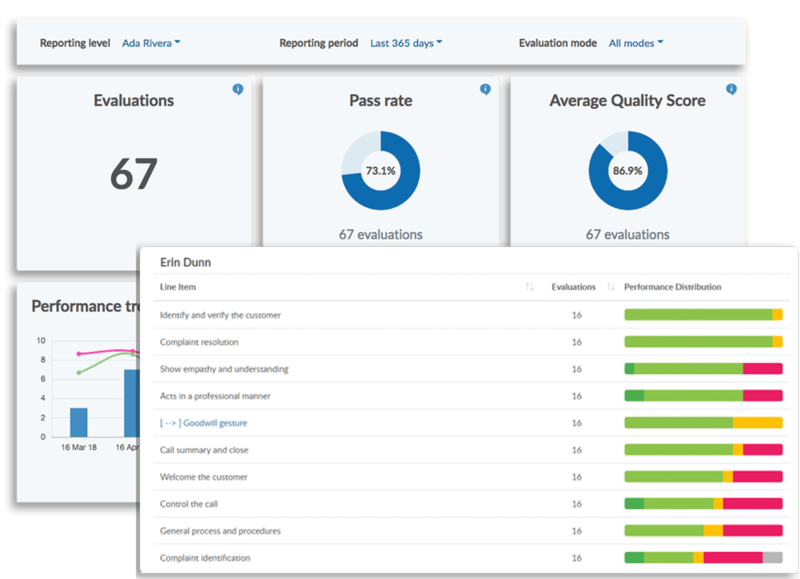 EvaluAgent for Salesforce imports tickets and conversations into EvaluAgent, enabling Quality Assurance teams to speed up evaluations, unify support channels and drive more insight by replacing the need for spreadsheets. 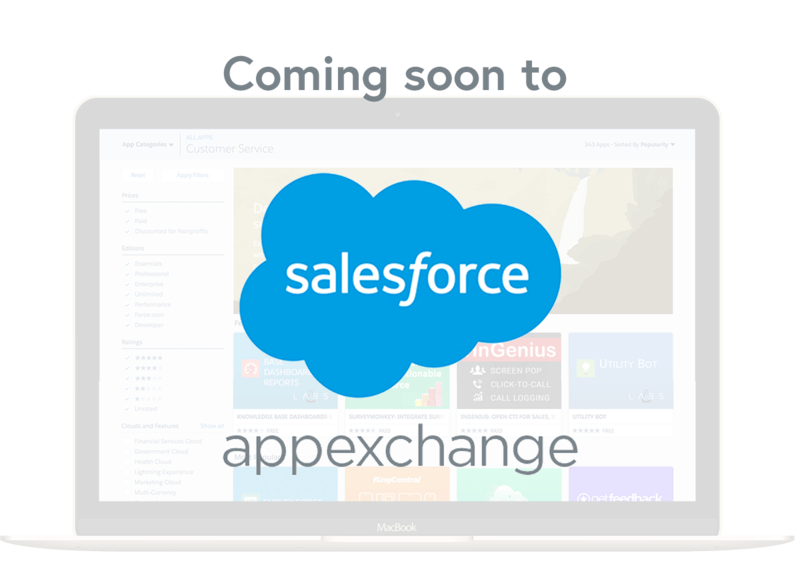 Integrate in seconds and then utilise pre-built filters, or configure your own, to import conversations from Salesforce in real-time. 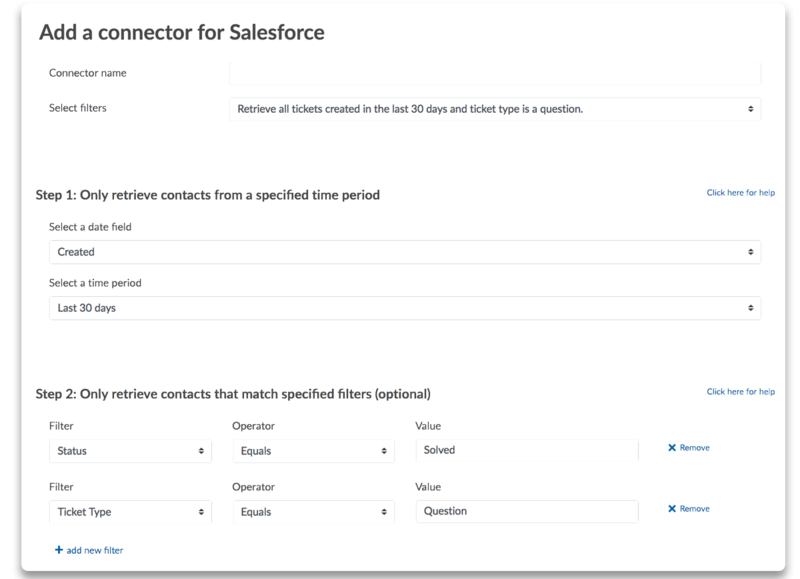 Super flexible, EvaluAgent for Salesforce allows you to filter imports by type, channel, contact type, status, agent and more! 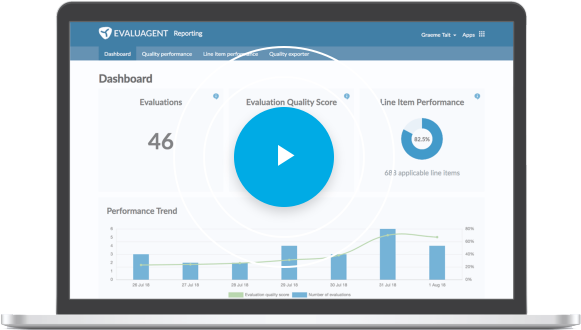 With our official Salesforce app (coming soon to the Salesforce marketplace), EvaluAgent for Salesforce enables Quality Assurance teams to take action directly in Salesforce. 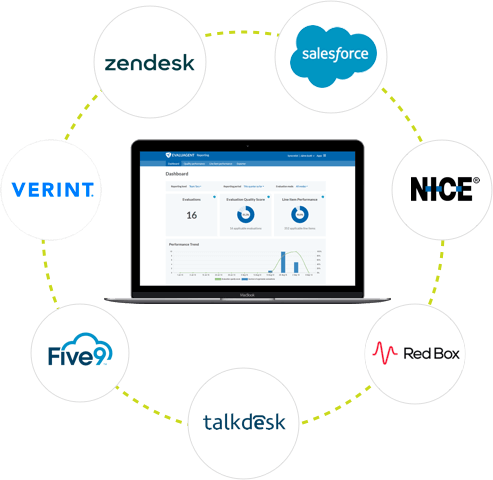 Select tickets to evaluate, see quality results inside Salesforce and keep all your platforms up to date with two-way sync.